Chagatai Khan: JUI (Fazal) Praise & Curse Osama Bin Laden. ISLAMABAD/QUETTA: Parliamentarians were stunned on Tuesday when a lawmaker led prayers for al Qaeda chief Osama bin Laden, defying calls from Deputy Speaker Faisal Karim Kundi that he needed permission to do so. At the National Assembly session, Maulvi Asmatullah, an independent candidate from NA-264 stood up and said Bin Laden had reportedly been given funeral services by the Americans and “we should pray for him”. The prayer service hardly lasted a minute in which two JUI-F legislators from Khyber-Pakhtunkhwa, former federal minister Attaur Rehman and Laiq Muhammad Khan, participated. 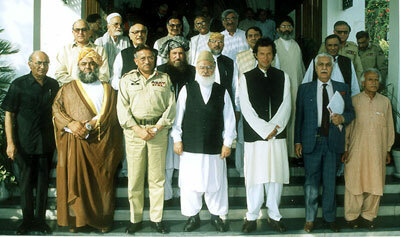 Azam Khan Swat JUI (F), WikiLeaks, Maualan Fazlur Rehman & Osama bin Laden. Deobandi Azam Khan Swati Funded War on Terror. The deputy speaker was administering the proceedings on a private members day, but he could not convince the lawmakers to stick to the rules of business. Osama bin Laden was killed in a US operation in Abbottabad in the early hours of May 2. Earlier, Prime Minister Yousaf Raza Gilani said in the National Assembly that “Osama bin Laden was the most wanted terrorist and enemy number one of the civilized world. Elimination of Osama bin Laden, who launched waves after waves of terrorist attacks against innocent Pakistanis, is indeed justice done. However, we are not so naïve to declare victory; missions accomplished, and turn around.” The first of its kind prayer service at the floor of the National Assembly reflected a divergent view from the official stance over the killing of Bin Laden. ISLAMABAD: After WikiLeaks disclosures about Maulana Fazlur Rahman, not only the Taliban and Al-Qaeda leadership have decided to sever links with him but various religio-political parties have also hinted at staying away from him. “Maulana Fazlur Rahman, who has been an ally of the Pervez Musharraf regime and is also a partner in the present ruling coalition, had strong contacts with militant groups in Afghanistan as well as Pakistan but nobody did even imagine until now that he is constantly in touch with the Americans also,” said a former Taliban official, currently based in Peshawar, while talking to The News on Tuesday. 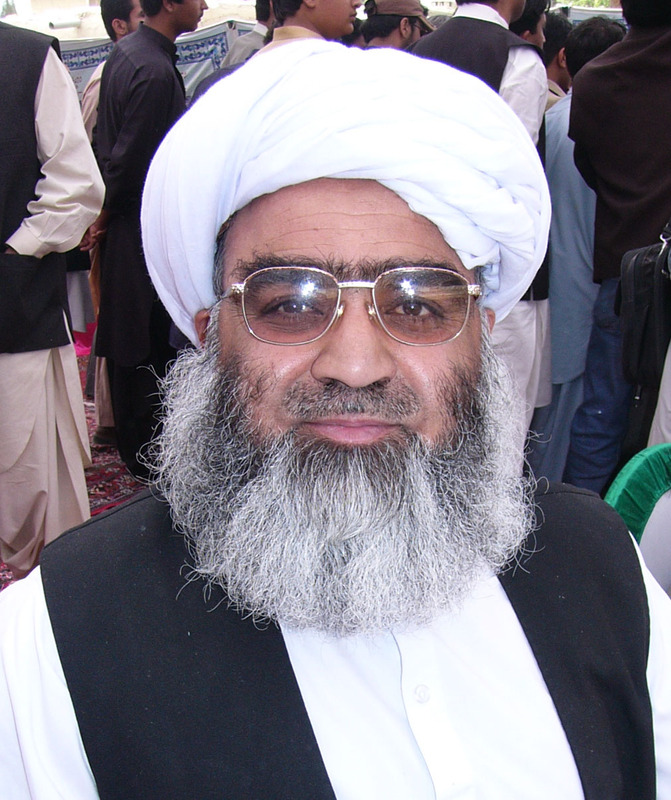 Talking to The News via telephone, the former Taliban official said on condition of anonymity that although the Jamaat-e-Islami leadership had expressed its reservations several times about Maulana Fazlur Rahman, majority of the people believed it is because of political differences between the JUI-F and Jamaat-e-Islami. The time has, however, proven that the reservations and fears of the Jamaat-e-Islami about the JUI-F chief were absolutely genuine, he added. “As the WikiLeaks have unmasked the truth, now Maulana Fazlur Rahman will have to be extremely careful because his acts and attitude fall in the category of betrayal,” commented the former Taliban official. A Taliban commander told The News from Afghanistan via telephone that the Taliban leaders, who have been in contact with Maulana Fazlur Rahman in the past, are extremely disappointed and angered. He said now all doors of the Taliban have been closed for the JUI-F chief as his real face has finally been exposed. “We may forgive him [Fazlur Rahman] for the sake of his father’s services for Islam but we have shut all doors for him,” he said. When contacted, former spokesman for Jamaat-e-Islami Ameerul Azeem, who has been attending meetings of the Muttahida Majlis-e-Amal (MMA) of which the JUI-F was also a part, said now the time has come for the JUI-F chief to review his entire political life, particularly his manoeuvres to become part of every government. He said the role of the JUI-F chief in the Movement for Restoration of Democracy (MRD), when his politics was based on mere principles, is no secret. He recalled that even (late) Benazir Bhutto had once dumped (late) Nawabzada Nasrullah Khan but the Maulana had extended unflinching support to the Nawabzada. “Now the political moves of the JUI-F chief are completely different as of late he has been preferring gains to principles,” the former Jamaat-e-Islami spokesman said. “If Maulana Fazlur Rahman failed in returning to his old political path, he would remain all alone,” he remarked. AND SAME MULLAHS SEVERAL DAYS AGO ON "MAWLANA FAZLUR REHMAN"
Just a few days back the same "Sanctimonious Ansar Abbasi" and Jang Group had to say this on Maulana Fazlur Rehman through WikiLeaks which was used by Ansar Abbasi shamelessly. The primary purpose of the message was to request the FBI to recall information about Fazlur Rehman, which indicated that an individual “Fasilur Rehman” believed to be associated with Jamaat-e-Islami (JI) is behind the March 2008 bombing in Islamabad. The cable said that the information suggests that Fasilur Rehman refers to political party leader Fazlur Rehman of the JUI-F. The embassy “requests that FBI recall this information from all hardcopy and database records due to discrepancies and errors in the report.” It noted that prominent Pakistan politician Fazlur Rehman is not associated with the JI, but instead leads his own political party, the JUI-F. From 2002-2007, the two parties allied with other religious parties in the coalition Muttahida Majlis-e-Amal (MMA). However, the JUI-F and JI retained separate leadership structures as well as separate political objectives and methods, it said. MULTAN: Jamat e Islami Ameer Syed Munawar Hassan has said that the US orchestrated the WikiLeaks disclosures, adding that the purpose of the mass release is to destablise Pakistan. He was taking to media personnel in Multan Airport. Munawar said that US wanted to hide its defeat in Afghanistan and wished to give new agenda to the people through the mass leaks. He told that Jamat e Islami will protest on Friday against the possible release of Aasia Bibi, who was convicted for saying blasphemous remarks. Munawar said that government would not be able to restrain the Jamat e Islami sit-in on December 5 in Islamabad. If democracy exists in the country then the government should welcome the upcoming long march, he added.